We are pleased to announce that this year’s ZIKAction Consortium Meeting in Rio de Janeiro was a great success! 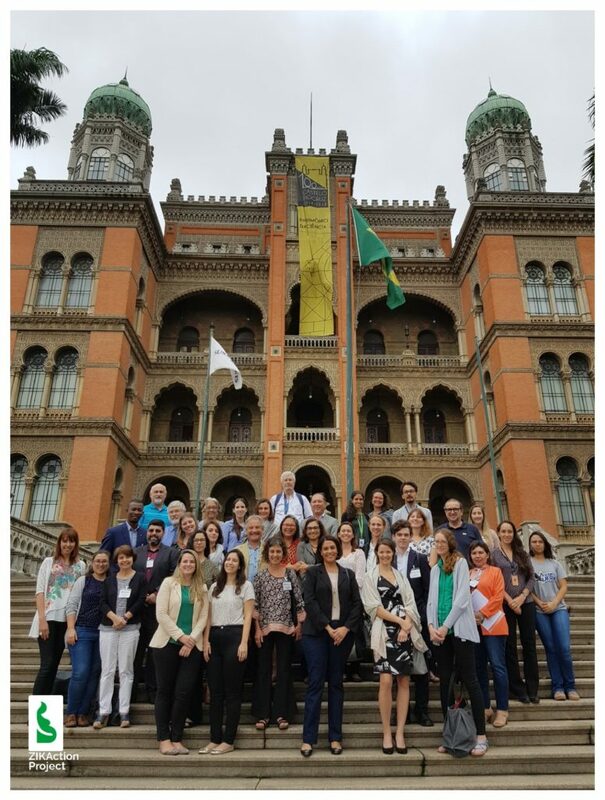 The Windsor Leme Hotel and project partners FIOCRUZ welcomed around 40 scientists and healthcare professionals on 3rd-5th November, 2018. The 3-day meeting gave rise to highly fruitful discussions on this ongoing project. It was a special opportunity to review the progress the has been achieved up to now and to coordinate our efforts for the coming months and next year. We extend a big thank you Ana Bispo (Director of the Flavivirus lab at FIOCRUZ) in particular for such warm hospitality over the course of the event. Various important outcomes were achieved, and we look forward to putting these decisions into practice in the run up to the next meeting in 2019. West Syndrome and Zika virus infection in prenatally exposed children: unexpected associated partners?